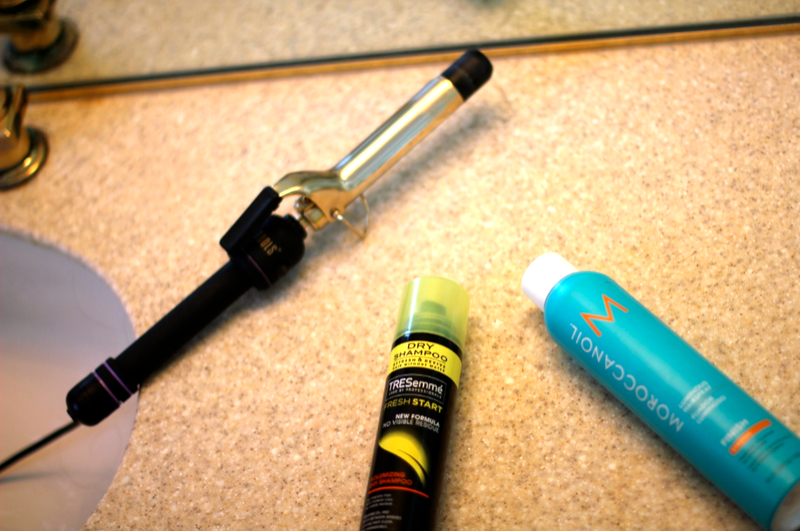 I swear by these products…first off I’ve had my Hot Tools Curling Iron for years and for $30 (I bought it on sale of course) it provides amazing results and is great quality…most hair styling tools end up not working after a lot of use, but this baby has yet to fail me. 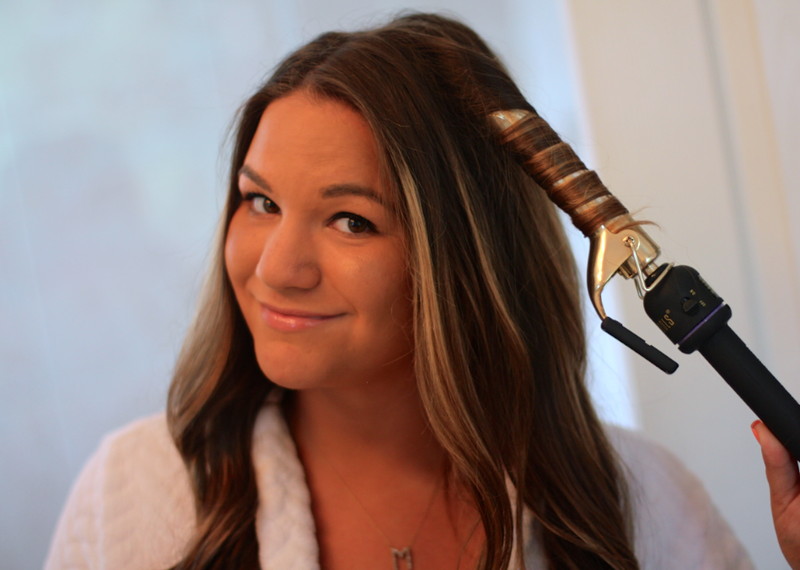 I got the 1 inch iron based on my hair length, I have long hair that is thin…consult the Hot Tools website or your hair stylist about which iron is right for your kind of hair! My dry shampoo is my savior. The Tresemme Fresh Start Dry Shampoo really gives you the bang for your buck. It usually retails at around $5, smells great and soaks up all the oil in your hair while also adding a little volume, texture and a great scent. 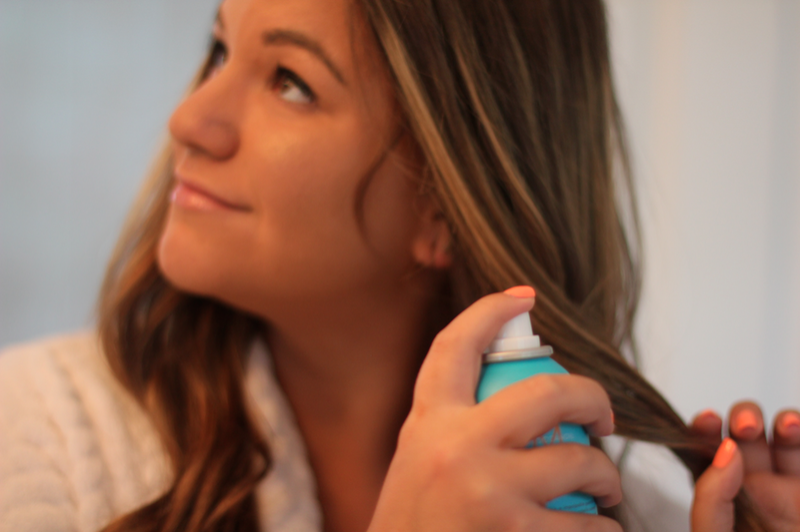 Last but not least, in order to make my fabulous curls last me all day, I opt for Moroccanoil Finishing Spray. It’s light weight, flexible and smells delicious…I even spray it on days I let my hair dry naturally just for the fabulous scent. Now I curl my hair the way I’ve been taught from my hair stylist friends…lesson one, dirty hair holds curls better than freshly washed hair. 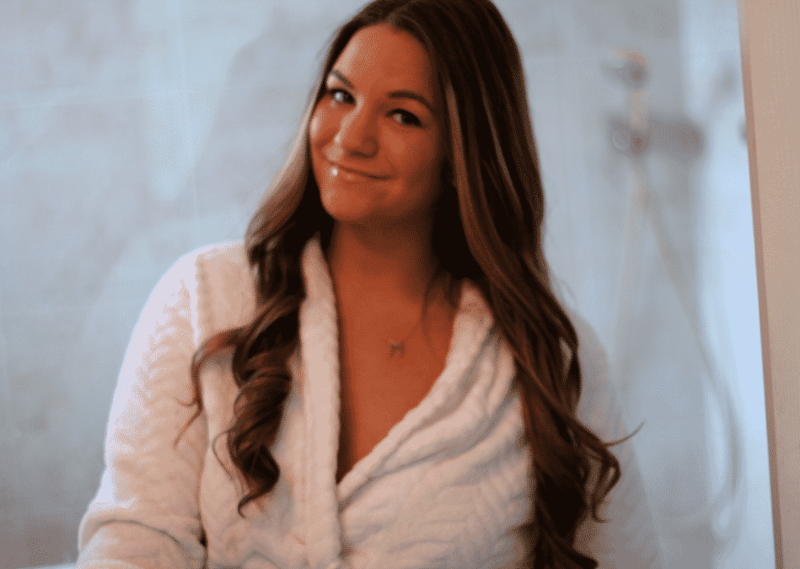 This may sound a little funky to you, especially if you are used to washing your hair every day, but I have a secret for you ladies…washing your hair every day actually causes it to produce more oil! 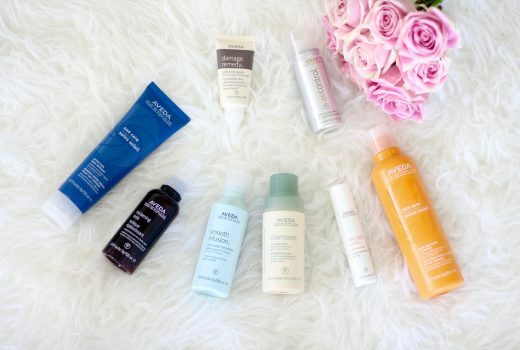 Give your hair a day or two to breath (when I curl my hair it lasts me 2-3 days and I simply spruce it up with dry shampoo in the morning and touch up my curls). 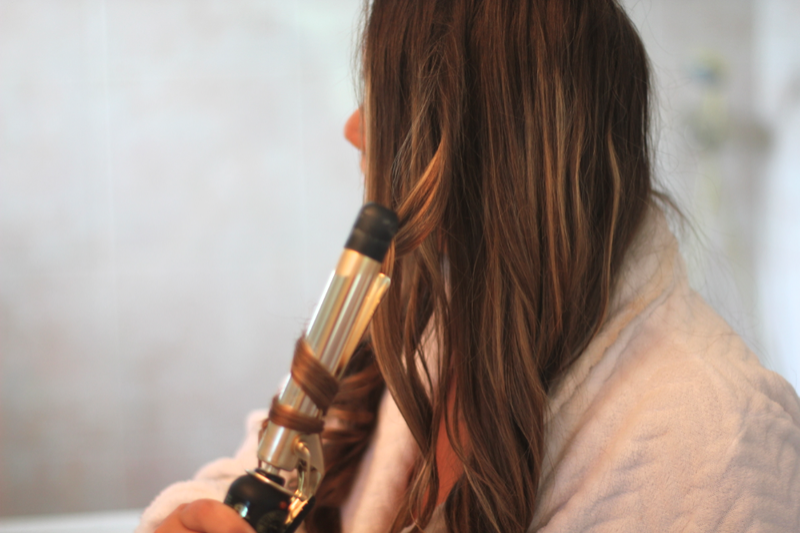 This varies obviously depending on the person, but for the most part rule of thumb…wash your hair and let it dry naturally the night before, day before or a few hours before you plan on curling it. My steps below are based upon my hair being washed and naturally dried the day before! 1) Spray Dry Shampoo a few inches away from the roots and if need be section off pieces to make sure you spray where you tend to get the most oily. 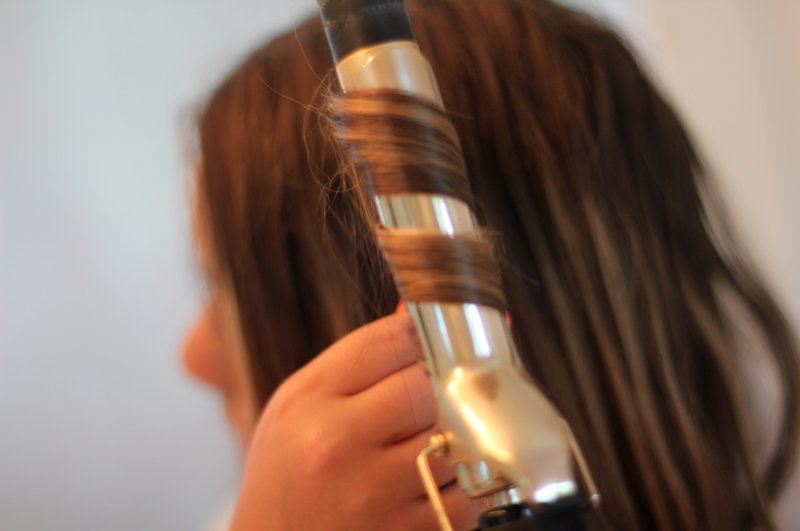 2) Take about a 1 inch section of hair and clamp the piece around the barrel of the curling iron starting in the MIDDLE! Very important ladies, if you clamp it too close to the top or the bottom, the hair doesn’t curl or it doesn’t hold. 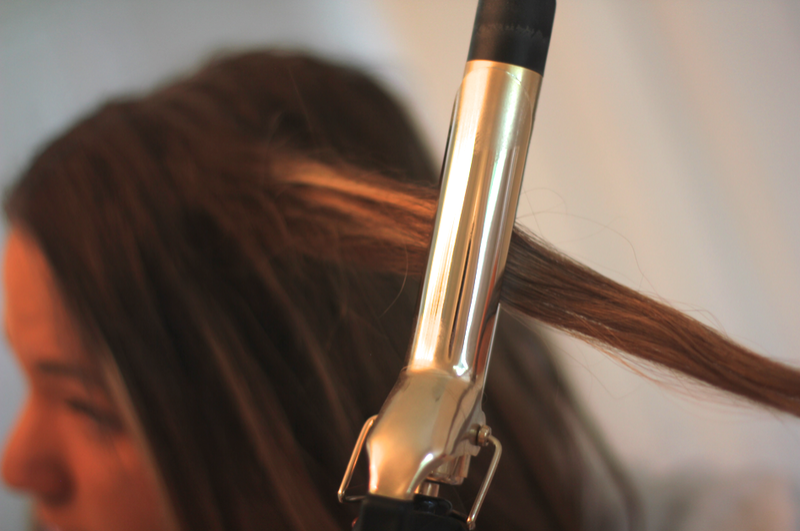 3) Begin turning the curling iron slowly gripping more of the hair as you rotate the iron up towards your root. 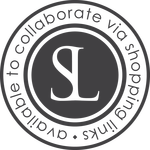 4) Hold the piece for about 10-15 seconds… 5) Slowly loosen up your grip on the iron to allow the piece to fall naturally. 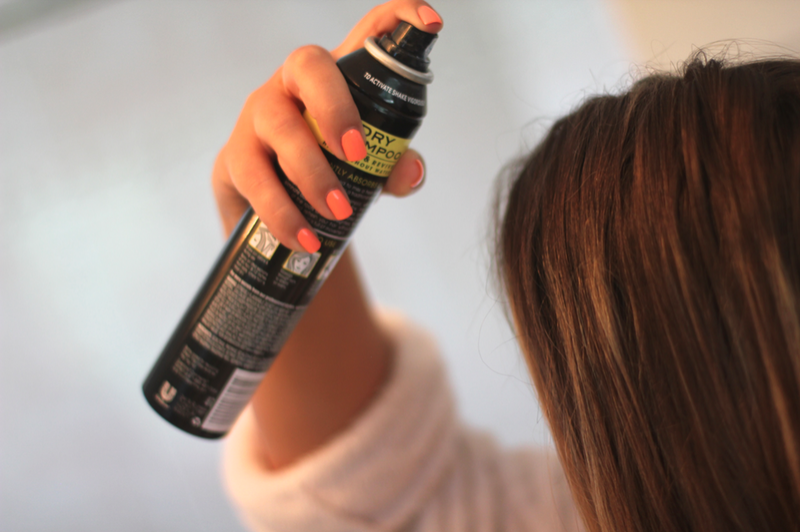 6) Spray some finish spray or hair spray for extra hold… And voila! 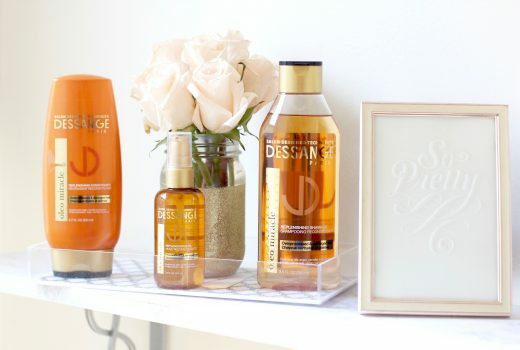 Picture perfect hair in a few minutes flat! This was a great tutorial!! I love dry shampoo and only wash my hair every other day. I wish my hair were longer like yours! Happy almost weekend!